Yes, I realize I am thin. 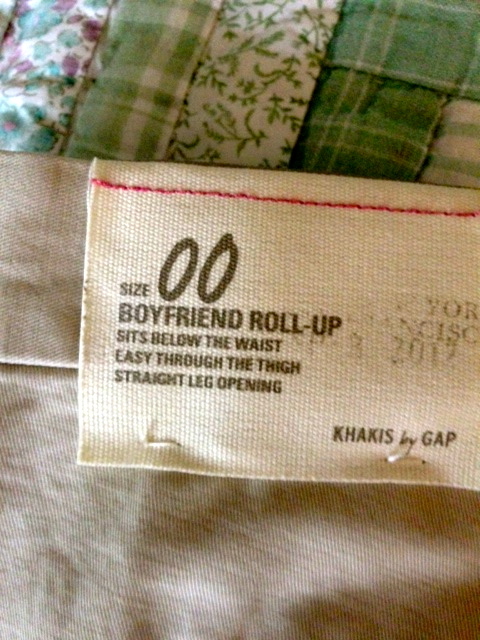 It is right there on the label of the shorts that are still too big for me in the waist–double zero. Maybe you are trying to be helpful or even trying to flatter me, but it really feels like weight shaming to me. Yes, this applies to thin women, too, especially ones who once embraced their now-shrinking curves. I love you for being concerned for me. I know you mean well. Please understand, though, the advice that I just need to eat more is a little overly simplified. So is the implication that because I am currently thin, I must have an eating disorder. This is not the case. The fact is that I am eating. Come take me out to a meal and see for yourself. I really like omelets. And ice cream. While we are there, notice that I won’t get up several times in the middle of the meal to go to the bathroom. This is unless, of course, that I have had several cups of coffee, and our conversation is running long. Even then, you are welcome to stand outside my stall and listen to me pee, although that would be kind of gross and a little creepy. I see that you still need an explanation for why I am looking thin these days, so here it goes. I am under a huge amount of stress–the life changing-just-trying-to-breathe kind of stress. Professionals have compared it to living in a bombed out town where there is the constant risk of being hit by sniper fire. Yup that is me, the little dot in the corner, aerial view, trying not to get blasted, keeping my kids hidden and well, despite it all. I grew each one of these people in my body, fed them from my body, and this body gave its resources to grow them strong. Now is no different. I love my curves, but I love my children more, and here is my reality right now. My energy, resources, my fat cells, are channeled toward them. My strength is at their disposal. I don’t want to give you a false idea. I don’t want to be a masochist. I am taking care of myself as I can. In fact, I choose to deal with my stress by eating healthy food, going to the gym, running, and weight lifting, and stretching my body into all the wonderful shapes it can be. I confess that I like the new muscles, strength and, endurance. They remind me that I got this. Yes, I do. I also treated myself to a pedicure, done in dark blood-red polish, which is huge for me, and frankly does make me feel a little guilty but fabulous. I have fabulous toes. Hey, did you notice how my strong quads stand out on my “skinny legs?” I’m tempted to show you my abs and my six-pack, too, but I am a little too modest for that. Besides, after three kids, I will never have anything more than a four-pack that tops the place of a soft spot, where my belly stretched itself, willingly, to make humans. I’m cool with that, because isn’t making humans the ultimate superpower? My doctor is good with my weight. My body is thin for my frame, but healthy. My blood pressure, heart rate and cholesterol levels are better than the average woman of my age. Much better. I’m proud of my body. This is its natural reaction to stress. It just so happens that I am in fight or flight mode, and this body is choosing to fight with everything it has. Yay, me. So while my shorts do have a label on them, please don’t apply one directly to me. Unless it is beautiful-most-awesome-kissy-face, as my youngest child tells me after I have bribed him with extra TV time, so I can go quietly in my room and give myself a 15-minute time out. It is what it is. Beautiful-most-awesome-kissy-face. I think that is a label I could live with.